Liquid Fusion Kayaking: Check it OUT!!! Liquid Fusion Kayaking has a new website. Check it out to see our fresh new look that includes lots of great photos from kayaking adventures on the Mendocino Coast of California. 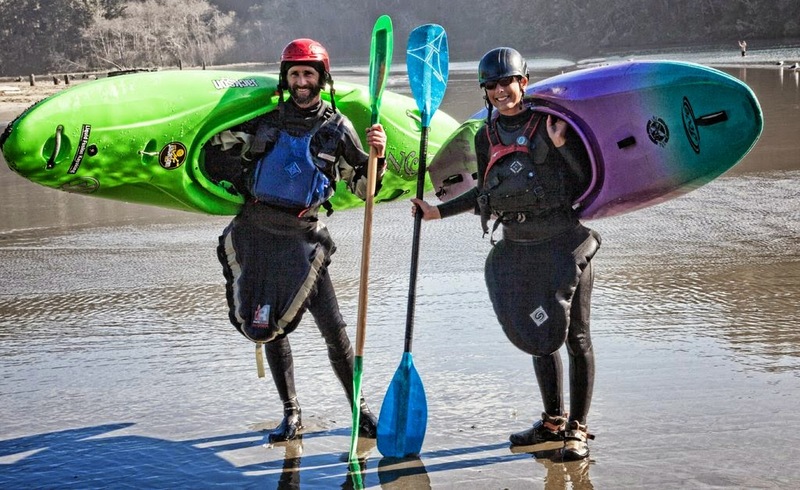 Our website also showcases our tours which range from dry and mild to wet and wild and our classes in sea kayaking, whitewater of the sea (ocean rock gardening), whitewater river kayaking, and surf kayaking. Yes, we did it ourselves and with a little help from our friends. We are still working out some of the bugs. Please let us know if you find any typos or things that aren't working. You also will notice that new for 2015 are online reservations. You can now book your trips online with Liquid Fusion Kayaking. We have a few other new events and tricks for 2015 and beyond but can't unveil them all at once. Enjoy perusing our new website and hope to see you on the water soon!! !